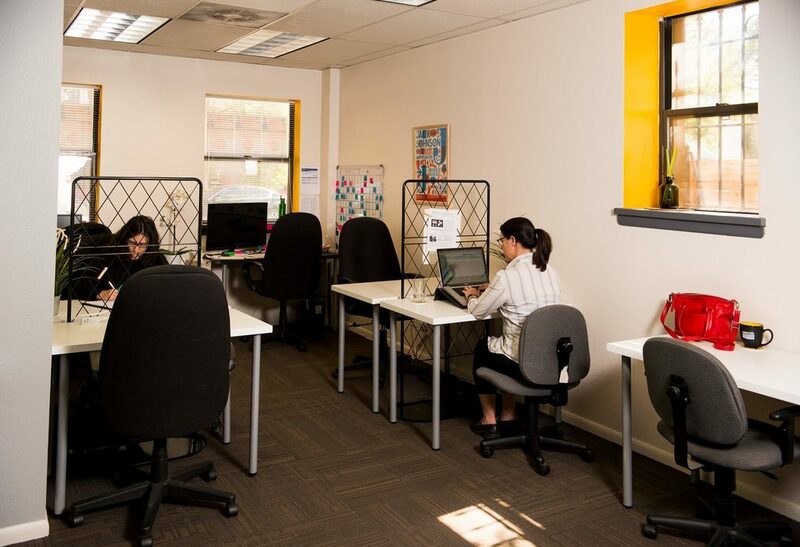 Access to use any of our open work spaces 24/7. Membership is month-to-month and includes all office amenities and community perks. Dedicated desk with locking storage within one of our open workspace areas. 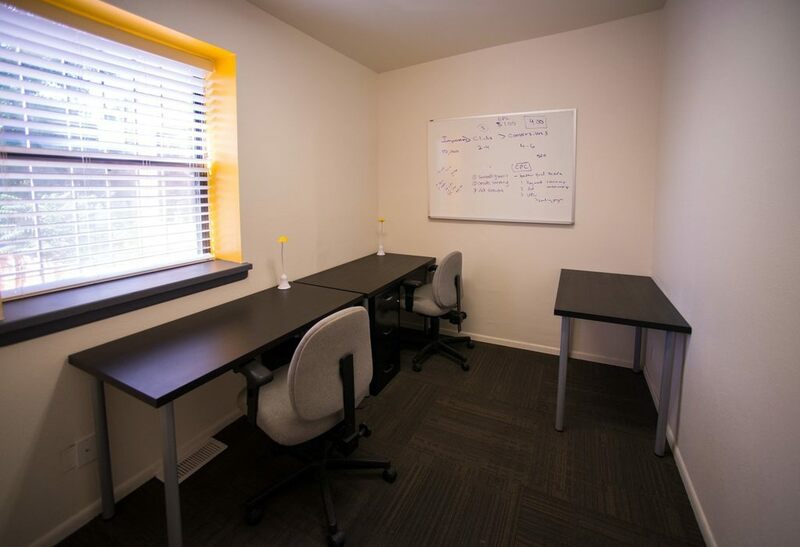 Membership is month-to-month and includes all office amenities. 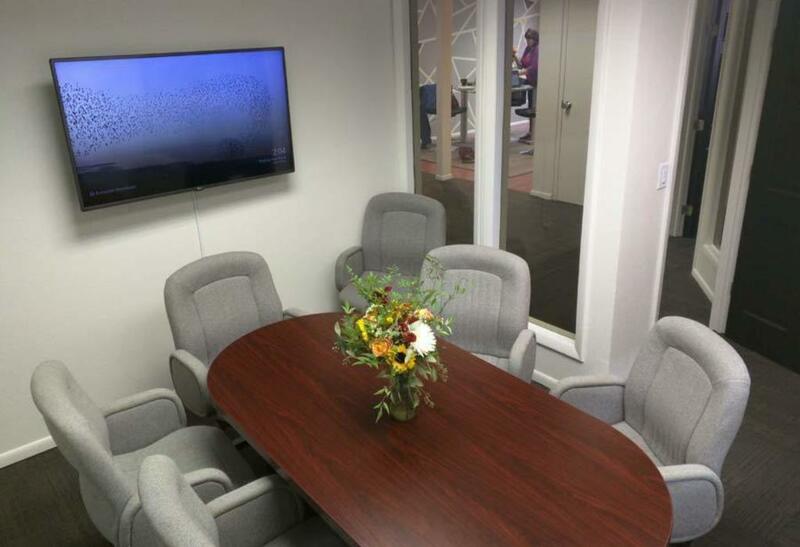 Fully furnished with desks to accommodate a team of up to 8 persons. All office amenities are included + 1 reserved parking spot. 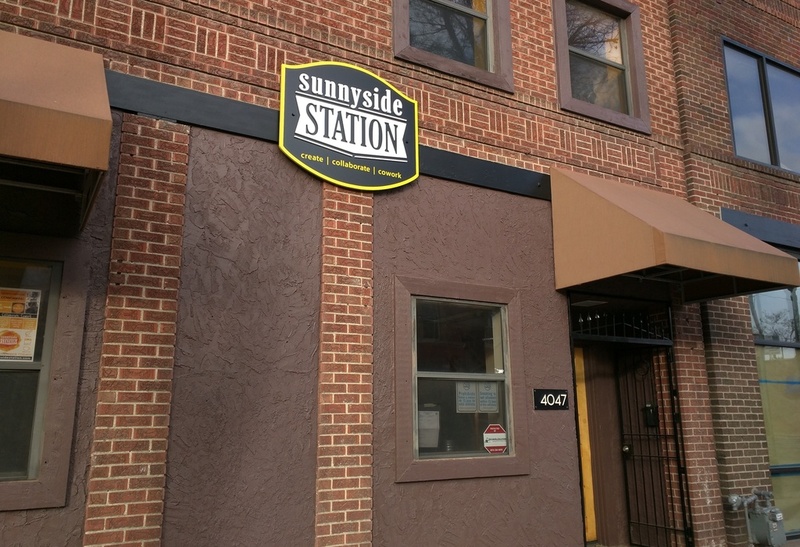 Our two story brick building was built in 1923 and was first used as a barber shop along one of Denver's historic trolley lines. 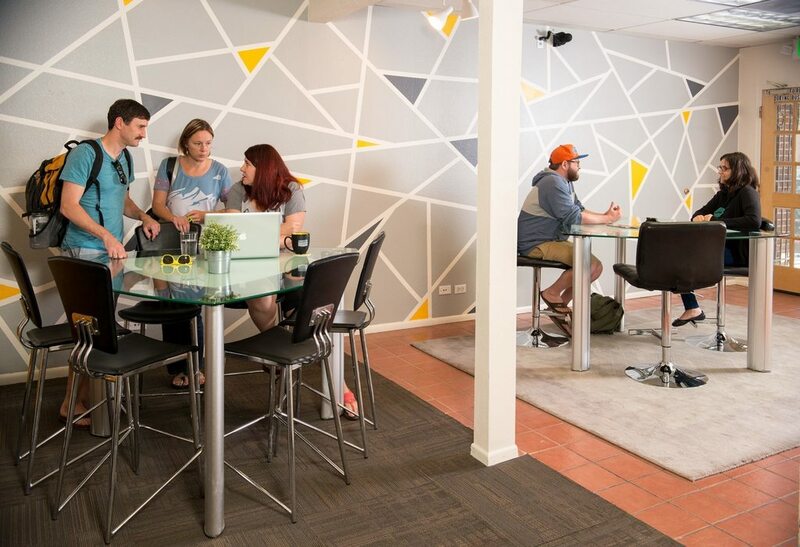 The building is now home to a creative collaborative atmosphere with bright walls (check out our awesome yellow ceilings and triangle mural wall). 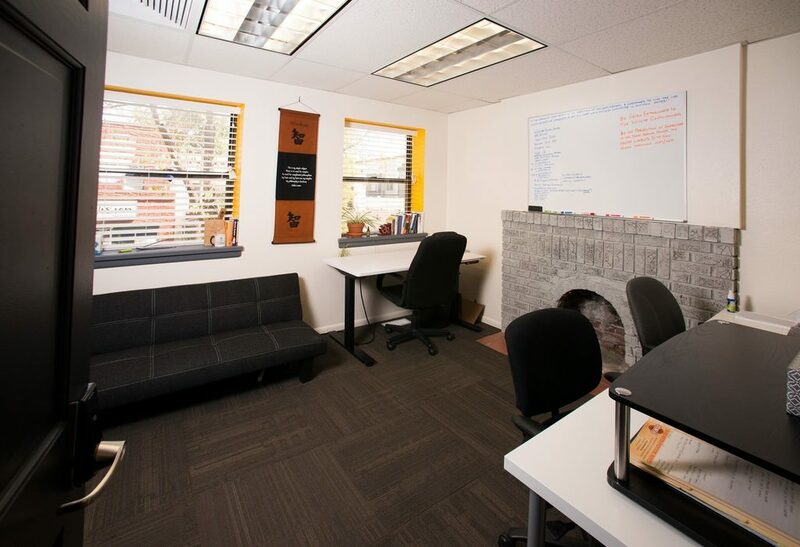 We have 3 open workspace areas with hot and dedicated desks, as well as 5 private offices suitable for teams. Our weekly events, location, and walk-ability are highlights often applauded by our neighborhood of coworkers. No bike storage allowed inside the building. No camping in the phone booth. Parking lot is reserved for private office members. No smoking in or near the building. Head-phones on means "Do Not Disturb"
Say "hello" and introduce yourself to new members. 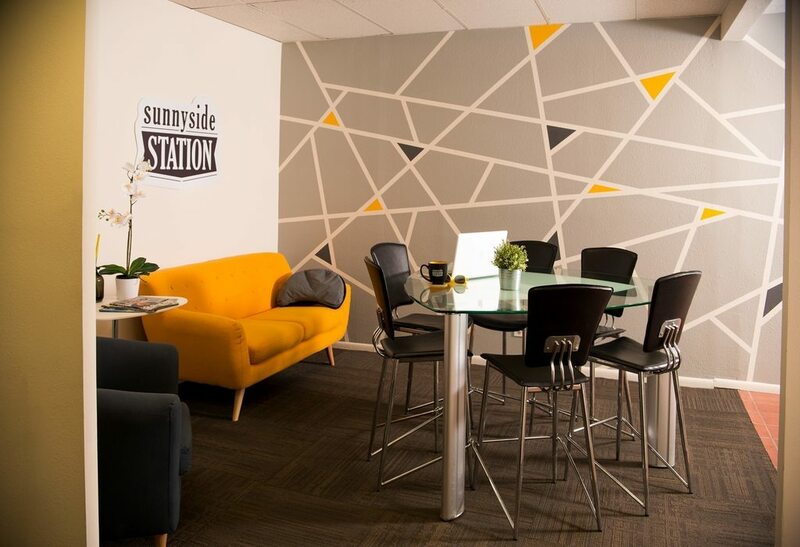 Take a break from time to time to mingle and eat lunch in common areas. Must schedule meeting room in advance. Meeting room may not be used for more than 3 consecutive hours in a given day. 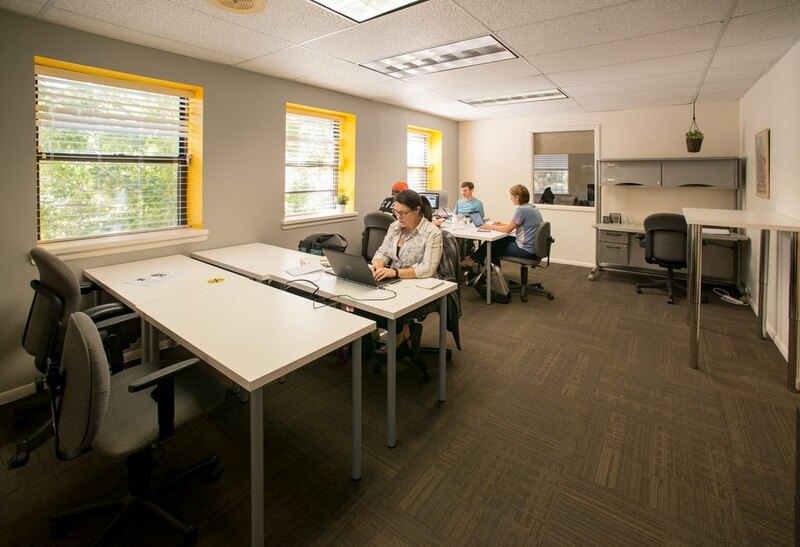 We are a shared office community tailored to the needs of local small businesses, entrepreneurs, and remote workers. Our professional members collectively enjoy a quiet atmosphere along with opportunities to host events, attend workshops, and casual socials. 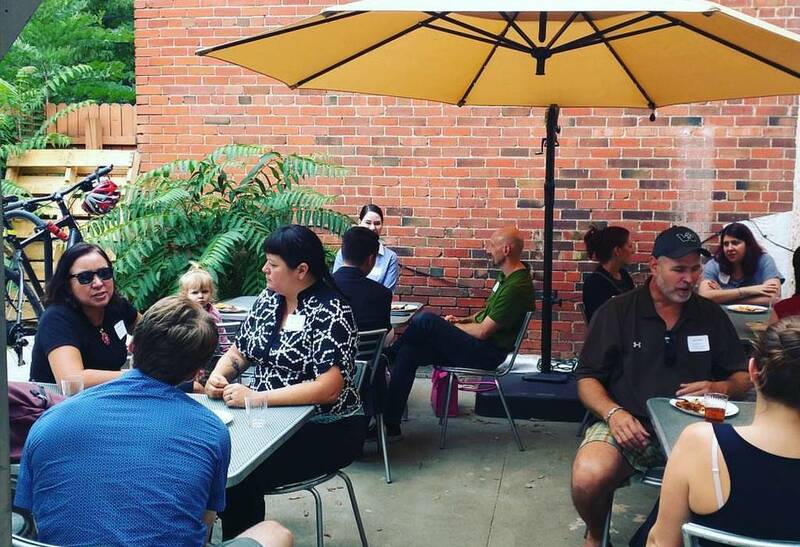 If you want to work around other local professionals who are rooted in the North Denver neighborhood, join us! This host only has room for 22 people right now. Press Request a Tour if you still want to send this request.